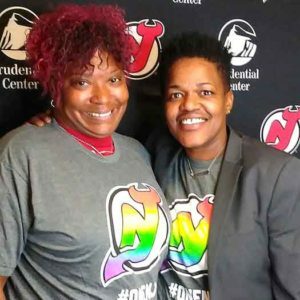 The New Jersey Devils professional Hockey organization collaborated with Newark Gay Pride and You Can Play to host its inaugural LGBT Pride Night at the Prudential Center in Newark on Monday. “I’m extremely excited. I would like the outcome of this event to be booming. And when I say booming I mean giving Newark Gay Pride great visibility, demonstrating our mutual support in the community, getting larger organizations and companies to see us as an organization that wants to do the work in the community and be the lead organization for Pride in this city,” stated Newark Gay Pride President, Sharronda Wheeler. 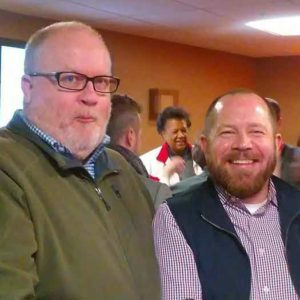 The color guard of prominent members of the LGBT community included Carol Rizzo, Benjamin Roman and June Dowell-Burton, who presented the American, Canadian and Rainbow Pride flags while the crowd listened to the national anthem. 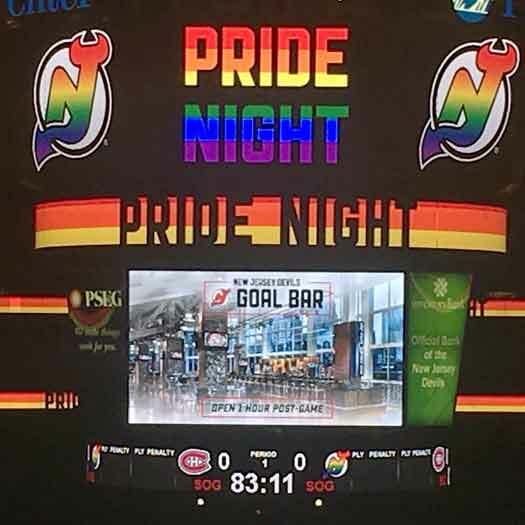 During the 2nd period intermission, the Devil’s fans honored LGBT activist and Vietnam veteran, James Credle, with a standing ovation for his service to his community and dedication to his country. 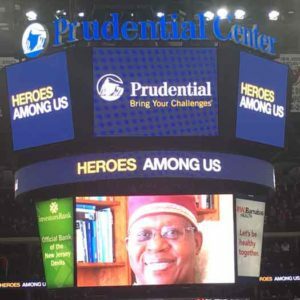 “I remember when the Devils first came to Newark and I came here and they had a large group of LGBT people in the audience but very few from Newark. I feel very proud that our group is really progressing to the point that we are pulling this together among other things that are happening in the city. 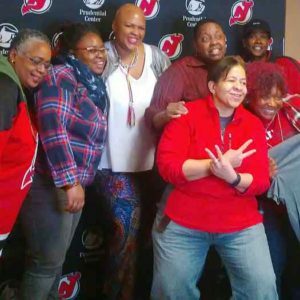 It’s making Newark a very exciting place to be for the LGBT community,” said Credle. Some of the proceeds from the 50/50 raffle went to Essex County LGBT RAIN Foundation, an adolescent homeless shelter. 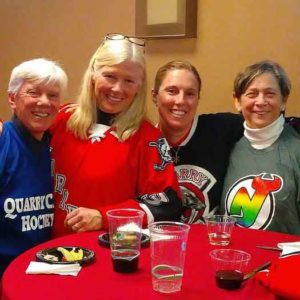 The motto on the rainbow colored Devils t-shirts on LGBT Pride Night read, “OneNJ.” And despite the Devils 4-3 loss against the Canadians, Pride Night proved to be a successful, fun, inclusive event filled with the faces, smiles and colors of the rainbow.